Come along and join in the fun. Laughing Yoga may sound a strange concept but it does come with many Health benefits. 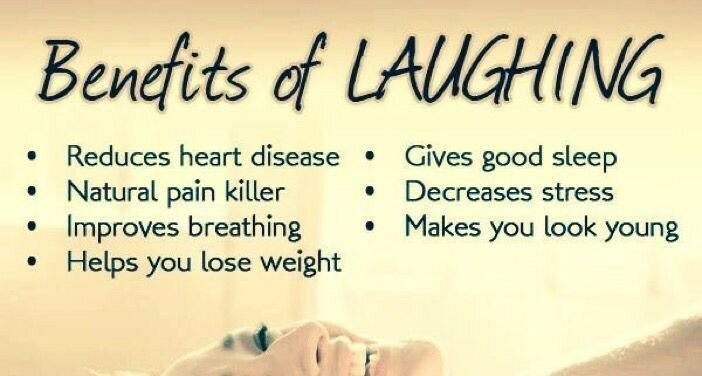 Did you know that the Body cannot determine between a fake laugh and a real laugh? Fake it or just giggle away. Whatever, you will release those lovely happy hormones and they will just keep on flooding in. The Yoga part is the breathing. It is gentle exercise done standing and which can been done seated - All Ages Welcome - Under 18's accompanied by Adult please. Get in touch to reserve your Laughing Spot! Give it a whirl - Fun for all - Sunday 2nd September 2:30-3:30pm. Investment $10. Bring - Water for hydration. What you must bring - A sense of humour!